This post was originally posted on Forbes.com on FEB 6, 2018. You can access the original post here. Breaking into the fashion industry isn’t a cakewalk—or catwalk. Like in many industries, incumbents have the advantage based on their longstanding relationships with buyers and media influencers. 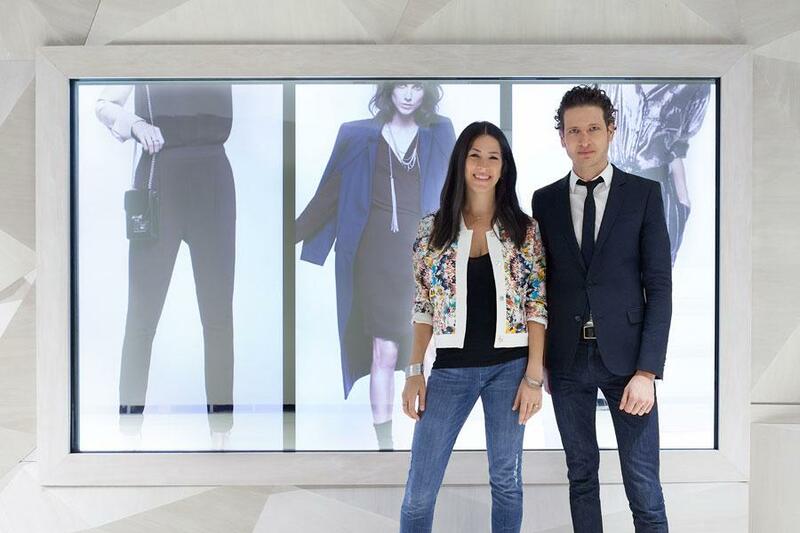 Rebecca Minkoff decided to break tradition and build her fashion brand her own way. Rebecca Minkoff, Cofounder and Creative Director of her namesake company, is very accessible. As a millennial designer, she wanted to speak directly to her customers and build a relationship with them at scale. She’s uniquely active on social media for a founder—the Rebecca Minkoff Instagram is half lifestyle, half Rebecca herself, and content often revolves around female empowerment. Even though consumers may not directly know Rebecca herself, they feel like they are part of her #superwomen world. This approach propelled the company to generate over $100MM in sales, and more importantly, deeply embedded itself into the hearts, minds and closets of its consumers. To understand exactly how her company does it, I talked to Rebecca Minkoff about her non-traditional approach to building her fashion brand. Veronika Sonsev: One of the main ways you connect with consumers is through social media. Rebecca Minkoff has almost 800K Instagram followers and over 900K followers on Twitter. How has social media helped you get your message out? Rebecca Minkoff: Our overall brand and social content aims to inspire our followers to lead a more fearless life.In addition to our Rebecca Minkoff Instagram and Facebook accounts, we have RMSuperwomen group on Facebook and RMSuperwomen handle Instagram. In those channels, we share inspiring stories of women leaders and encourage women to take courageous steps in their life. We want to create a tribe for smart, ambitious women. Today, more than anything, the brand is about belonging to the tribe and what that tribe stands for. We also use social media to have a deeper connection with the consumer by including behind-the-scenes photos and incorporating my personal life. We optimize the messaging based on what we think customer needs are based on the time of day and year. For example, in the new year, we encourage our followers to set bold and fearless goals. Sonsev: Working directly with bloggers and influencers is another strong strategic move. How has that helped you drive awareness and sales? Minkoff: Bloggers ushered in a democratization of fashion, where real-life women can evangelize brands and dictate style, not just magazines and runways.Traditional fashion brands only wanted to work with editors, but we saw bloggers as a strategic part of getting our story out. We actually get a higher return on investment with up-and-coming bloggers who are not jaded and work hard for the brand. Depending on the goals of the program (e.g. regional launch, new product launch), we find the right influencers to meet our needs, offer them a great product and ask them to share on social channels. We really value our blogger relationships and try to build them out long-term. Sonsev: Traditionally, Fashion Week was an exclusive experience for fashion influencers and buyers. You took a unique approach, opening Fashion Week up to consumers and incorporated bloggers. What motivated that strategy? Minkoff: Incorporating bloggers into our runway show was Uri’s idea [Uri Minkoff, Rebecca’s brother and CEO]. He recognized bloggers had already been attending front row and thought it would be interesting if we gave them a chance to walk down the runway. The first show where we did that, we saw higher consumer engagement at the show and afterward on social media, as it made influencers feel like they were being taken seriously. We also invited consumers to Fashion Week for the last three years. In February 2016, we switched to a ‘see now, buy now model’ where consumers could immediately buy the looks on the runway. Because of this, we’ve found our Fashion Week always well attended. Sonsev: Rebecca Minkoff Stores often host events for the community. How do events play into your marketing strategy? Minkoff: Events at the flagship NY store are one to two times per month. LA is every other month. Chicago is every two months. In both the online and offline worlds, we want to inspire more people to go out and do better things. We often host fireside chats interviewing female entrepreneurs or engage the community in social media dialog about current issues. Sonsev: You’re known for being an early adopter of technology — you were first to stream your runway show, you were an early adopter of smart dressing rooms, you launched smart handbags in November of last year. How has technology helped you connect with your customer? Minkoff: We use technology to connect with consumers or ease a pain point. With our connected handbags, we embed QR codes into the bag so our customers can scan the codes to unlock content and rewards. For example, consumers scanning the QR code initially unlock a video from me, which helps drive a deeper connection to the brand. Often, bigger brands don’t try something new because they fear the brand impact if the experiment is not successful. We constantly try little things and quickly optimize according to what’s working. I just try to be transparent with the customer and let them into our learning experience. This gives us more permission to experiment than traditional brands. There’s never been a sure way to break through as a new designer. But, following the traditional path will not yield breakthrough results. Not only is it refreshing to see designers like Rebecca Minkoff chart their own paths and find unique ways to connect with consumers, it could very well be the new norm for new brands.